3rd International Conference on Diabetes and Metabolism : Vydya Health - Find Providers, Products. 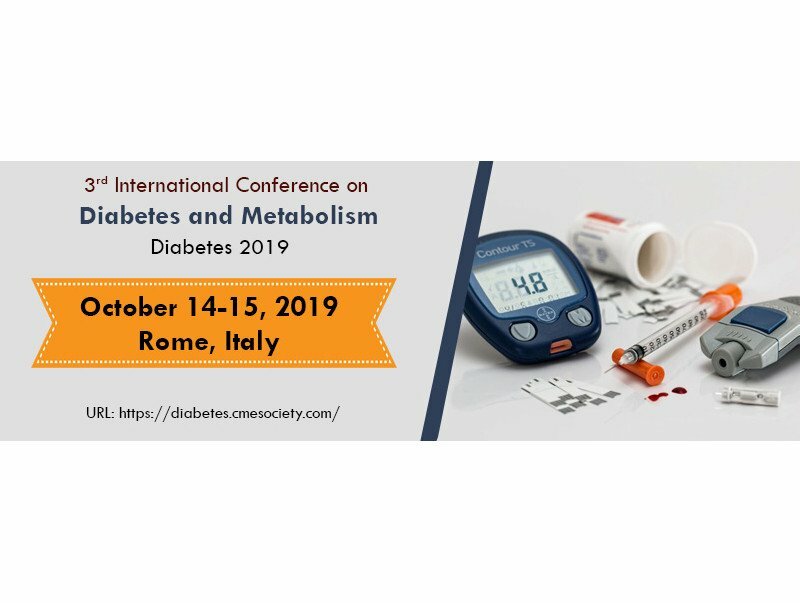 On behalf of the Diabetes 2019 it gives us an immense pleasure to invite you to the “3rd International Conference on Diabetes and Metabolism” scheduled during October 14-15, 2019 at Rome, Italy with a theme, “Evincing the therapeutic approaches and development in Diabetes”. Diabetes Conference 2019 is open for Keynote talks, oral papers, poster shows and scientific panel discussions. We are targeting to inspire, discuss, and work along to bring out an answer for numerous issues related to Diabetes, Nutrition, and Cardiovascular and Metabolic syndrome.